Affordable Rental Housing — Interfaith Housing & Community Services, Inc.
Interfaith Housing Services Rental Program develops affordable rental housing for many households unable to lease on the open market. Interfaith currently has 140 rental units in Reno, Harper and Ford Counties. Our rental units are available for those needing special housing assistance with priority given to the elderly, household members with disabilities, and low-income families. 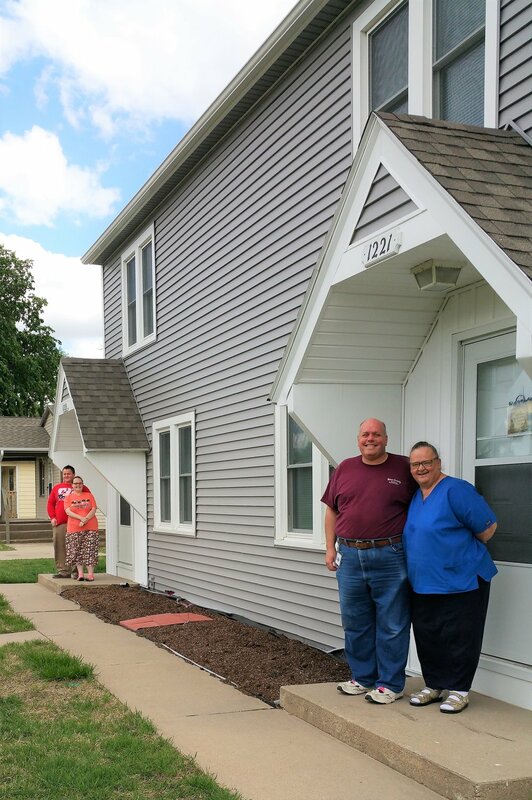 In the beginning, one of the greatest needs realized with the rental program was the creation of affordable, fully accessible homes for household members with disabilities. Nearly 60% of all program participants have a disability; having access to this program is vital for their integration in our community as most often their only recourse would be an institution. Each of our units exceed the Section 8 and Housing Quality Standards established by HUD and the State of Kansas. While providing a safe and affordable dwelling is important, most of our units offer amenities not available in comparable-priced units on the open market. We are dedicated to providing quality, safe, accessible rentals that our residents can call home. Rents are an established amount below fair market value and not based on individual's income. On average, our rental units are priced between $350-600 for 1-3 bedrooms. Rental assistance may be available through the Cowley County Housing Authority, 304 S. Summit St., Arkansas City, Ks 67005 620-442-6063. Due to the limited number of properties available, it is often necessary to place persons requesting rental property on a waiting list. Periodically, Interfaith will contact all wait-list applicants to update their information.